Do you want somebody to undertake your real estate requirements on contractual basis? If the answer is yes then, it is good to approach Candor Properties. With our services, we provide solutions for many things like painting the houses, fixing electrical wires and switches, fixing doors & windows, etc. We are backed by a team of skilled professionals, who take care of clients requirements and complete the assigned task within the said timeframe. 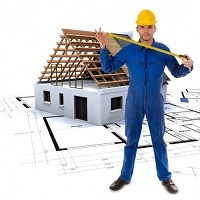 With our help, you can hire masons painters, plumbers, electrician and carpenters. We make use of quality products while completing the undertaken task. We are based in Pune (Maharashtra, India); dial the given numbers for detailed discussion.